Gabby Logan introduces highlights from the day's FA Cup fourth-round ties. Browse content similar to Fourth Round Highlights - Saturday. Check below for episodes and series from the same categories and more! give Derby the lead. Andre Gray, off the post. Okazaki. Terrific block. hand on their closest rivals. Brighton top of the Championship. here. Oh, tremendous effort. So unlucky. Brilliant play by March. through the first half. Sidwell couldn't get to it. Rhead good. goalkeeper has fallen very awkwardly there. Clearly hurting his left arm. Albion 1. Danny Cowley's team, I would say, fancy their chances here. leaders here in the Cup. Brighton looking for a bit of quality now. area. Murray is one of them. Murray shoots. It's blocked and behind. teams. It might get worse for them here. It's Robinson. It's three. tries to turn. It's Murray. Sidwell feeds it forward. With the shot. Great save from Paul Farman. Good stop from the goalkeeper there. up for Brighton Hove Albion. They've only gone and done it! organised. The boys were highly moat raid. You have always got a chance. enjoy this win, but it's rubbing off on us, the hard work, dedication. view? Couldn't be more impressed with what is happening at Ipswich. .
them to put balls into the box. Dangerous. Again, clever backheel. going into that space. Unfortunately it didn't come to anything there. to put crosses in. Theo Robinson can't get his header on target. so I can play it first time? Theo Robinson great disguise on his shot. commitment, desire to win. This is in the last few second of the game. lower league. Especially as the four leagues. They will be disappointed. in the FA Cup, to get some momentum back into their current campaign. this. Liverpool's January has just got a lot worse. Called in by Costa. of the season. He sends the opposite end of the crowd into raptures. to Moreno. He got a second bite and depict the past. -- picked the past. semifinal to Southampton. 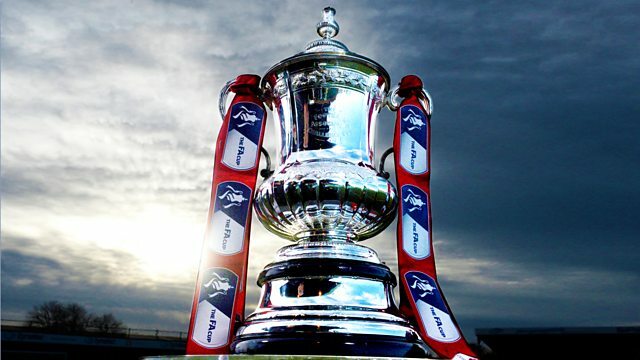 Note 2-0 down in the FA Cup fourth round. challenge and it drops to Firmino. Was this a good shout for a penalty? from his team. Try telling that Lott that the FA Cup does not matter. denied. Surely that would have wrapped up the game. That was off the chest of Matthew Dougherty. Behind for the coroner. home at the back post. This is Can. No Woodburn. Sturridge is waiting. again. It has gone all the way outclassed. -- all the way across. What a save from Burgoyne. The young goalkeeper got across just in time. few minutes to go and the lads were running empty. They were fantastic. target. Forcing Liverpool into a mistake and winning the ball back. three players involved, Helder Costa, Origi -- Weimann, and Dicko. great. If wikis does not read that, it ends up in the back of the net. any answers. It has been a terrible January. What went wrong today? all for players going in and trying to find spaces but you need someone. players make the runs because they know they might get the ball. just think that the strength in depth for Liverpool is not there. have been free-scoring. The last seven games, only scored five goals. has 10 with six in his last 10 appearances. he gets his head to it. And what a start, oh, brilliant save from Vorm. the lead inside the opening minute, but Michel Vorm keeps it at 0-0.
dangerous. Blackman was there. It still could be dangerous, Son! Heung-Min Son didn't take advantage of it. Akinfenwa. And, again. Hayes. the Wycombe fans. Hayes blasts in, you can see it curling in the air. right place to clear that one away and deny Sissoko an equaliser. Absolutely desperate that his team do not go out of the competition. hand there to keep that shot out. Brilliant save. Picked up by Dier. spot-kick and Wycombe have the opportunity to double their lead. with two goals today at White Hart Lane. Winks. Turned away. Onomah. Got a touch off a Wycombe player last of all. the ball in, and it's headed in by the substitute, Garry Thompson. the goal that takes them through to the fifth round of the FA Cup? results in their history. A chance here though for Dele Alli. Janssen inside. Dele Alli, 3-3. Tottenham have rescued it. Delfounesoey Alli, who still had plenty to do, but did it superbly. Alli. Sissoko. He's got Pierre for company. Sissoko, he goes past him. where to start. It's after time. A penalty I thought was not a penalty. what we've done today I think puts a marker down of how far we've come. but it's not just about myself. All the lads have done extremely well. went to White Hart Lane and played without fear. Here breaking for him. goals. What did they do, Danny, Wycombe Wanderers to unlock them? defender cannot touch him, he is on the wrong side. It is a penalty. really low. Fantastic. That saved from Simon Eastwood keeps it at 1-0.
shirt. It is not likely to disagree. I only say it see it. OK. So four matches down, but there's plenty of action still to come. In the last round, Manchester City won 5-0 at West Ham. second booking in the first half. Ward tilted across the penalty area. Loic Remy. He went for the spectacular and did nearly came off. like it is going to be a fifth loss in eight games for Sam Allardyce. eight appearances against Palace during his Manchester City career. other hand, we created chances. Today, we were able to score goals. Guy Mowbray and Tony Dorigo. COMMENTATOR: Bellerin. Mustafi. composure to slip it underneath. Brilliant ball, even better finish. Martina. Through for Shane Long. Long's gone for goal, he had to. Danny Welbeck, brilliant pullback. McQueen should get there quicker. Lee Wallace wants it more. He stabs his right boot in the way. committed too many mistakes. This one cost them another goal. pitch. Direct play. Perez plays the ball to Sanchez. Does brilliantly. League. When up won at Anfield to get to Wembley. Go on, same again. Arsenal's best XI every I think isle time. He adds goals, power and pace. Super player. Pleased for Arsenal he's back, and for him. There's plenty more fourth round action tomorrow as well. Following us tonight is The NFL Show. Bournemouth. Costa is kept in reserve in case. coming. Willian curls in the free-kick to give Chelsea the lead. reactions from the keeper. In front of John Terry. Begovic did well. Loftus-Cheek, it came off the bar. Zouma. everything right, so unlucky. This was happening time and time again. to a moment of brilliance from Belgian midfielder Stephen Defour. has been ten months and toddlers fields were last awarded a penalty. Huddersfield's fought in what turned out to be a comfortable cup victory. volley from post-2-mac was fantastic. It has been a great day. credit he deserves. They play a good style and they all know their jobs. disappoint. Great to work with you both. Just time to take a quick look at tomorrow's headlines. as they reflect on giant killers, Lincoln City. summer. Romance in the FA Cup is alive and well at Sincil Bank. I think we've all got a soft spot, haven't we? 1-1. Game on. This is Andreas Weimann. It is two. What a strike. Tottenham. Willian. It is in. Robinson.